The 1975’s “Give Yourself a Try” may feel like a surprise at first, but a close listen reveals just how perfectly the new song fits into their intimate, dynamic artistry. Atwood Magazine’s writers take turns exploring the British band’s first single in two years, diving into its musical content and decoding its lyrics. Kelly Wynne: If there’s one thing in particular that makes “Give Yourself a Try” a standout, it’s the song’s lyrical content. The first single from The 1975’s “Music For Cars era” is a detailed glimpse into the life of the ever-intriguing Matty Healy. It’s an in-depth perspective that only Healy himself could give in his charismatic, philosophical ideology, one that announces his own addiction to drugs and fear of going outside. The lyrics give a closer look into what makes The 1975 real, which is everything any longtime fan of the band could want. The music itself, however, threw listeners off with a sound that feels nearly 2000’s punk rock. As a longtime listener, I was expecting the first single to be something synthetically sweet. The greeting of “Give Yourself A Try,” an undeniably loud guitar loop and some out-of-the-norm drum machine caught me off guard, and not in a good way. The sound of the track almost feels like a step backwards into a past-genre the band itself has advanced. It will take a few more singles and a full album release in order to understand the direction they’re pushing and if it has a purpose of thoughtful nostalgia or is just a glitch in the band’s signature sound. Maggie McHale: Upon first listen, “Give Yourself A Try” really took me aback. Even, too, upon the second and third listen – I still wasn’t wholly sold on it. The severity and redundancy of the guitar tones felt aggressively in-your-face, and the synthesis of the song altogether wasn’t quite clicking. It didn’t feel like a song by The 1975. I had felt this way about “Love Me,” too. Then, I listened to the song in the greater context of The 1975’s discography. And it clicked. “Give Yourself A Try” fits – almost too perfectly – within their sonic repertoire; specifically, with songs found on the first album or earlier. There are two things I find most impressive with this song: one, the fact that it was entirely and solely produced by George Daniel (years past have included at least one other outsourced producer); and two, the song’s immersive and impeccable lyricism. If there’s one thing The 1975 can always manage to get right, without fail, it’s their lyrics. “Give Yourself A Try” dually observes the past and future, discussing low points and the potential solutions for them moving forward. Matty Healy projects subjective storytelling in an objective way, thrusting listeners into their own self-reflection. “Give Yourself A Try” may have been unexpected as the first reintroduction to the band in over two years, but this is nothing new. We know that, The 1975 knows that, The 1975 knows that we know that. Just as “Love Me” inaugurated their second era, brimming with lush synthetic tones, softer hues, and troubled lyricism, “Give Yourself A Try” is ushering in a cognizant, loud-and-proud era of rebirth, renewal, and refreshment. All they ask is that we give it a try. Nicole Almeida: “Give Yourself a Try” was definitely not what I was expecting, which means it required more than one listen for me to actually get into the song – the first time through I was just in shock and waiting for some big twist to happen in the song. However, I need to admit that after the second listen I was totally hooked, and have been finding myself with this song stuck in my head more often than not over the past few days. I was sold on the lyrics when they were posted across The 1975’s social media platforms days before the song was released, and the contrast of the abrasive, harsh lyrics with the punk guitar riff and Healy’s soft delivery of lines about a fan’s suicide or his drug addiction make the song even more compelling for me. I would have liked a little bit more bass in the song, since the guitar and vocals basically drown out everything else, but that’s my only real complaint. The music video is still something I’m trying to understand, since I know nothing they do is accidental and that most likely than not there are Easter eggs and hidden references to the band’s past or some intellectual idea (which Healy loves sprinkling his lyrics with). If anyone wants to reach out and explain what the video means, please feel free to do so. Something that makes me appreciate “Give Yourself a Try” is that it’s clearly here to mark a new era for the band, a new identity, one which comes hand in hand with transparency and the delivery of important messages. Overcoming the tremendous success of The 1975’s sophomore album I Like it When You Sleep…, which granted the band #1 slots in the US and UK charts as well as sold out performances at London’s O2 arena and Madison Square Garden, is a hard thing to do, but rather than try to compete with their past work, they’re simply showing us a new side of the band with their new single. They broke the mold with this single, and took everyone by surprise in a brilliant way. If we can trust any current band to rediscover a genre and bring it to the mainstream today, it’s The 1975, and from what it looks like they’re determined to give punk its moment in the spotlight at least for now. 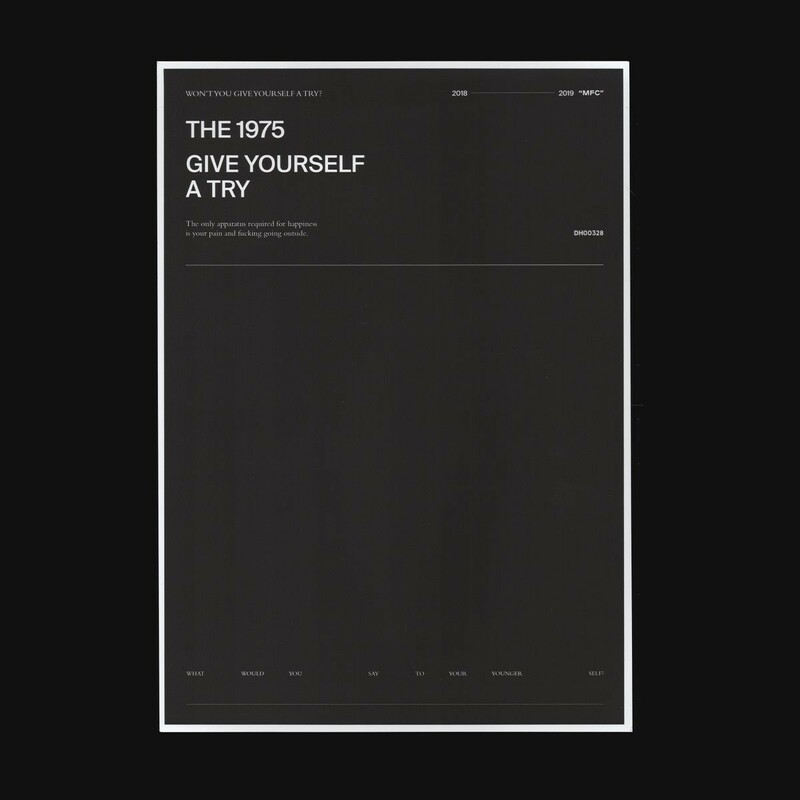 The 1975 have the power of reinventing themselves like no one else in the industry, and “Give Yourself a Try” seems to be only the beginning. Mitch Mosk: Like everyone else, “Give Yourself a Try” caught me off guard. Its edgy guitar has a rough-around-the-edges vibe, which stands in direct contrast to the smoother sounds of I Like It When You Sleep. The 1975 have always had a streak of defiance in them, and this song certainly feels like a musical rebuke to their previous content. 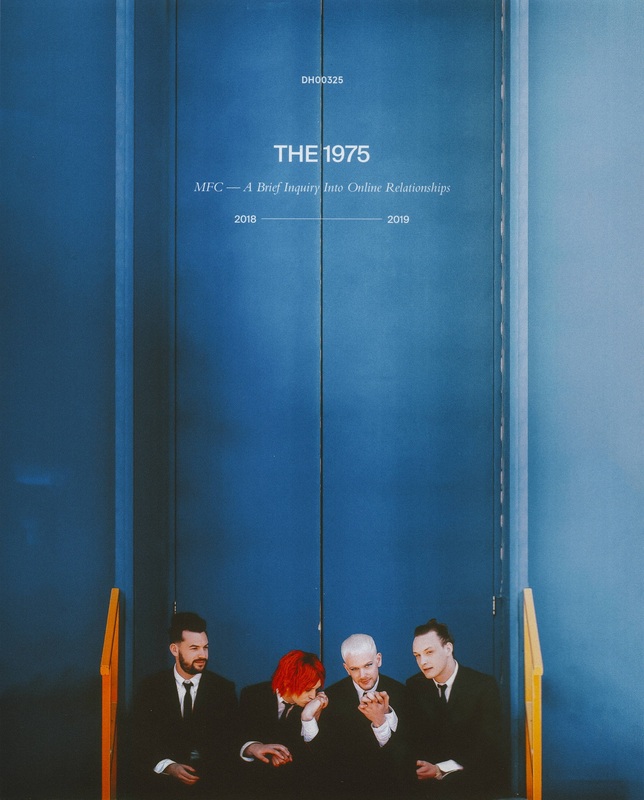 In fact, it’s not; the raw amped-up energy is a slightly new venture for The 1975, who have been so dedicated to developing reverb-laden soundscapes to drive emotions in the past, but the song’s musical elements and lyrical content seem like a natural next step for this ever-evolving band. Matty Healy has written dozens of self-critical disparagements and laments of himself, so it’s refreshing to hear a song that acknowledges his actions (mistakes or otherwise) in a new light. There’s an almost comic quality to Healy’s nonchalant intimacy as he goes through trial after trial, acknowledging in the chorus (in not so many words) that he wouldn’t be where he is today, had he not learned from his past actions… or at least, persevered through them. We come back to the same phrase again and again: Just give yourself a try. It’s a mantra for living better – for knowing yourself and embracing who you are, rather than running from the truth. In spite of my initial surprise, “Give Yourself a Try” has definitely grown on me. It’s unlike any of the band’s previous material, in that it’s unambient and un-vibey, but it’s still authentic and wholeheartedly The 1975: In the end it’s really not all that surprising after all. Delivering a song about being true to yourself in the midst of a costume change, it’s as if the band themselves are acknowledging this indie punk rock energy to be another one of their true colors – and that’s why we love them: The 1975 approach all of their music with a fresh, ceaseless ambition, inviting their audience to join them and bask in whatever sonic worlds they’ve conjured up this time. I’m excited to see how this song grows on me over time; knowing myself, I’ll surely feel differently in a week, month, and year from now. Natalie Harmsen: “Give Yourself A Try” is a testament to making mistakes. It’s anthemic stature reminds us that we’ve all stumbled and flailed our way through our 20s. Those of us who are in the midst of doing so, can listen and realize we can take these growing pains and survive them. It’s about self-preservation while still being genuine. Despite the very 2000’s loud-and-proud grungy guitar, The 1975 is still making the same insightful drug-fuelled quips about life we’ve come to love and cherish. Whiskey really doesn’t start to taste better as we get older! It may be a new era, with a new sound, but lyrically the band’s honesty is still at the core of what makes them great. Alex Killian: Like most of the team, “Give Yourself a Try” was an abrasive surprise for me upon first listen. Heck, upon the first note I was a bit confused as to what was happening. Before I go further, I have to say that for me, The 1975 are one of those bands I love because they make unapologetic music that fits every mood. From their moody, lo-fi slow burners to the high energy pop bangers, they know how to make a hit and they’re never afraid to take a chance. That’s why “Give Yourself a Try” may not have hit home for me on first listen, but it’s complexity and creativity were intriguing to say the least. The decision to highlight such an aggressive guitar loop is one I’m still not sure I agree with, mostly because it overshadows Matty’s vocals and voice. He’s the heart of their music and arguably the trademark of what makes the band. I think the riff does a good job of contrasting his sugary sweet tone, but maybe a tad too much. Matty’s voice is pretty severely echoed, making it that much more difficult to dig into those lyrics we all love from these guys. All of that said, the more I listen to the track the more used to the aggressive riffs and tones I become, making it that much more enjoyable. After a number of listens, it starts to come together more harmoniously instead of sounding like the disjointed jumble I originally heard. The lyrics come further forward as the heavy instrumental fades back a bit, giving it a nice balance. At the end of the day, I’m not surprised The 1975 are taking unapologetic risks and laying it all out there. That’s why we love them, right? Definitely can’t knock ‘em for it, and I’ll sure as hell keep listening. Sara Santora: Listening to “Give Yourself A Try” was a little disorienting upon first listen. I had rushed home from work and spent a good twenty minutes trying to find a livestream that would work so that I could hear the single played live on BBC Radio 1, and, still coming off the high of the I Like it When You Sleep era, was expecting something much different than what I received. The song, though arguably containing similar musical elements to things we had heard in their self-titled album, is much different than anything they’ve given us. The guitar loop creates both familiarity and chaos, and it, coupled with the song’s energy, creates a sound almost bordering on pop-punk, though not fully. In their interview on BBC Radio 1, Matty Healy had discussed that the Music for Cars era would contain within it a certain tension. Of course, this could mean anything. Tension can be created lyrically, musically or with some combination of the two, and, tension can be contained between songs within an entire album. Of course, knowing Matty Healy and co. to be a group of geniuses, my mind was filled with different ideas as to what this tension could be, which is why I felt a tad disappointed upon hearing this single, which at first, seemed very simplistic. However, my initial assessment was very much wrong. The song began to grow on me after a few listens, and, as I now have the lyrics pretty much sorted, I have a deep admiration for the track, and have found the tension I was promised. In true 1975 fashion, the lyrics are biting and vulnerable. The song is riddled with sarcasm (“like context in a modern debate I took it out; “a millennial a baby boomer would like”) this sarcasm only adding to the lyrical complexity of the song. When this complexity is packaged in something so simplistic, it causes tension, because, without knowing the lyrics, the song feels good. And while it can be argued that this is a “feel good” song, it’s so much more than that. I appreciate the risk being taken by the band with this new single and am very much looking forward to how it fits in with the rest of the album. I feel as though The 1975 is taking their own advice and finally doing what feels most comfortable to them (giving themselves a try, if you will). This isn’t to say that their past work isn’t their sound or what they want, but it seems that, because this is such a large departure, that this might be what comes most naturally to them. I love the risk, the message and cannot wait to see what’s next. Urooj: It may be silly to say that “Give Yourself a Try” is not what I expected – given The 1975’s history which is defined by, if not synonymous with experimentation – but when there is a two year gap, there’s a big enough space for conjecture and that’s what the past twenty four months had been…a series of conjectures as to where this bright and beautiful band was going to go. “Give Yourself a Try” arrived in the midst of a lot of mystery and intrigue, given the steady stream of provocative Instagram posts that only seemed to intensify the wait, posing question after question. I’m struck by how punk-rock the sound of this track is and the music video only compounds a comparison I drew up as I heard the song again- that both the band’s construction of the track (in the song) and the visuals (in the video) echo the early days of another British alternative act, namely Placebo. From the way Matty’s hair looks to the electric guitar’s refrain throughout the track, from how Adam Hann looks and moves feverishly to how the sharp, biting lyrics are couched seamlessly in cheery vocals, the similarity to Placebo (for me) is glaring and near-beautiful, given how groundbreaking both these alternative acts of music have been, in challenging conventional ideas of popular music by breaking into the mainstream and by exploring social, political, sexual and drug-related themes in their music with honesty and snark.